William Villa is one of the founders of Red Door House to Home in New Jersey, the COO, and an active participant in the day to day operations in the New Jersey branch of this real estate development company. As the Chief Operations Officer of real estate development, Will oversees the Red Door House to Home LLC. real estate transactions, property management, construction services for commercial and residential real estate. 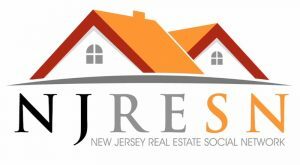 Will participates in all our New Jersey residential property rehabilitation projects. He works directly with contractors, plumbers, electricians, roofers, HVAC, drywallers, and painters and can be seen on demolition sites, at inspections, and managing the checklist. William stepped into the real estate industry directly out of college by working with a facility management company. He managed the facilities operations for a number of office locations. He develops and maintains efficient vendor and operational service standards and interfaces with vendors and the building facility management team to ensure building maintenance contracts and optimal functioning of all building systems. Will received a bachelors degree in both finance and accounting from St. Joseph’s Univerity in Philadelphia. He lives in Long Branch and loves the community.